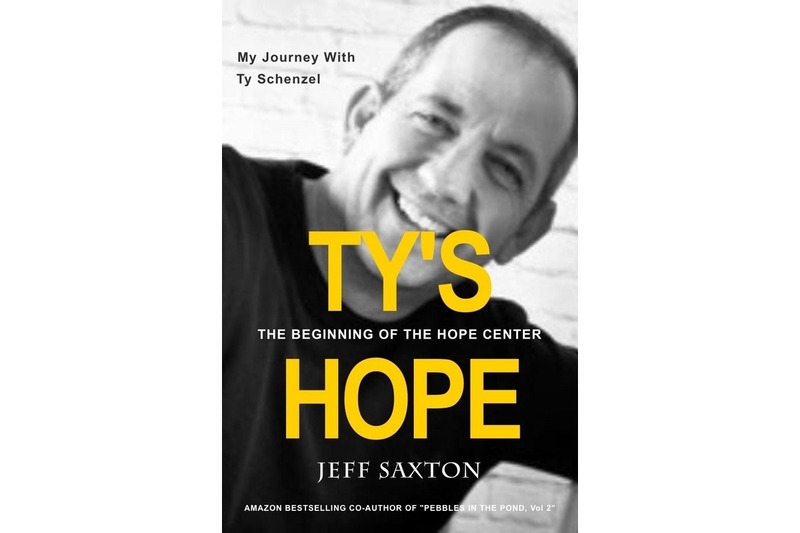 About the book "Ty's Hope"
Ty Schenzel was a suburban youth pastor in a large megachurch who found himself divinely confronted about the urban plight of the people of North Omaha. Ty quickly recruited Jeff and their top leadership core to help him struggle to gain the support of the church leadership. After many confrontations, death defying experiences, and temporary removal from their positions, Ty led a Spirit-led movement of repentance and prayer suddenly launched a rag-tag team of hundreds from the church in birthing what eventually became -The Hope Center. 2. Publishing and Marketing includes: publishing, marketing, website, social media, investors, endorsements, and advertising. that THIS BOOK (and maybe FILM God willing) will help that hope spread! Through the miracle of crowdfunding, you can HELP ME make this book and script! Please prayerfully consider whatever God would place on your heart to help this step in the journey become a reality. * $10 or more: we will display your name on our site! * $30 or more, we will ALSO send you a FREE COPY of the book! * $100 or more, you will ALSO get a signed copy of the BOOK, and personal "Thank You" in this book! * $500 or more, you will ALSO get listed as "Our Sponsors" in the book, website and YOUR NAME in the credits if/when it is a movie. *$1000 or more, you will ALSO get AN OPEN INVITE to come sit a) at the FOUNDERS TABLE for all book promotional events, b) show up at the RED CARPET for personal picture with filmmakers if/when it's a movie! I have several relationships with Hollywood producers that have distribution green lights with studios. One LA Producer has mentored me professionally, and was instrumental in cheering me on to get this story out. I was Ty's Assistant Pastor for 5 and 1/2 years in the 1990s, as well as one of 13 full-time pastors at Trinity Church. It was such a fun and life-changing experience to walk with Ty through all of these crazy adventures as he fearlessly pursued God's leading for his life. * I am a feature filmmaker. My film - Heart of The City, went on to play at several film festivals and theaters. * I am a multiple Telly award winning director, and lifetime judge for the Telly's Silver Council. NOTE: As you can see by my accomplishments, I don't mess around. I make dreams my reality - when I am given the go ahead to do so. Hey Ty’s Hope Contributors and Champions! I want to thank you for being part of this journey. We really feel you contributions have gone directly towards very foundational things like website and thus campaign and the other tools and pieces of tech that all cost when you add it all up. So - your giving has been well worth the amount given. Obviously we sent an amount. Quite high. We are not close. Maybe the amount should have been just the first half of the project. Be that as it may, would you pray with me? We are in serious need of getting some of this disparity raised ASAP. The toll it takes on a household is immense. You see there is no way to pull this book project off PLUS ongoing communication with people PLUS running a crowdfunding campaign PLUS seeking out new potential donors PLUS this fun contest we are going to unveil tomorrow without a price. Able to do a few little things outside of work. And this is fine except - then this project will likely be set aside indefinitely. I cannot promise you what will happen financially for me and us as a couple we are at our last few days of being able to do this project without the money. I’m not asking you guys to give more. I’m so grateful for what you have given. I’m asking you to pray. We need to raise 5k to 10k of this campaign in a matter of days not weeks or months. But regardless - these costs were not pulled out of thin air. I’ve published two books I know what the real costs are and this is conservative for a book of this kind when you include the movie script/ pitch material side of things. If you or someone you know may be interested in attractive investor option in exchange for 5 to 10k let me know. We are offering double investment plus the perks of both a book or movie. Essentially we are offering front cover mention plus an entire page in the front of the book plus a share of anything the book makes - and adding a film investor percentage on the top in case it ever is made into a film. This way it’s a huge win for anyone willing to contribute 5k and up. Ps. If you personally are not able to invest 5k plus but you connect us with someone who ends up investing we offer the standard 5% finders fee up front. Thanks for letting me share the inside scoop with people I trust and I promise to push ahead with this project but pray for a miracle today in Jesus Name AMEN! here is a special link to download a bunch of cool stuff as a THANK YOU for donating to TYS HOPE! 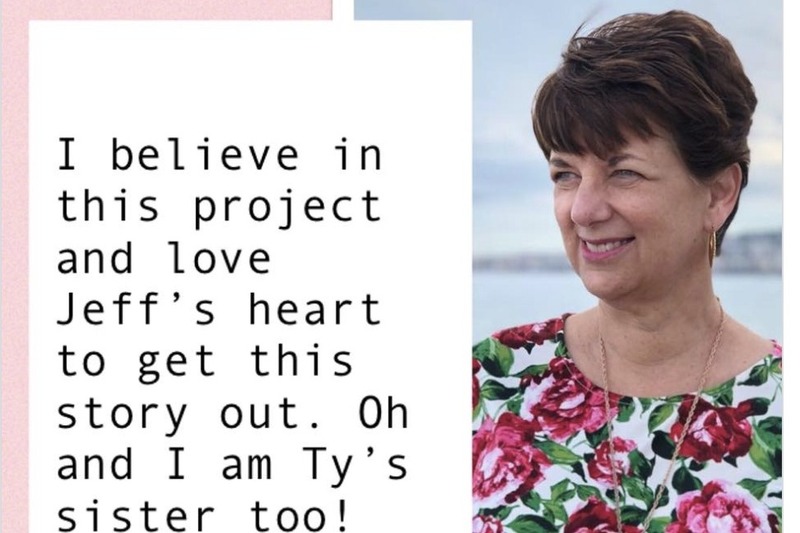 The free stuff includes: 1) 2 part video message I gave last summer at Tribe Church on "5 Steps To A Miraculous Life" 2) slides and notes that go with it and then 3) Free ebook "Ten Steps To Transformation"
So blessed to have Ty's sister - Julie Schenzel Darr, supporting our project! Well I talked with Tyler Schenzel Jr tonight. I really like that guy! Ha. Anyway, he was excited to hear we are still moving along with this book project. In case you didn't know... all 4 kids have endorsed this book about their dad - as a much younger Pastor Ty! I am so honored and happy!